Does Hot Topic Star Wars #1 Spoil Avengers: Age Of Ultron? 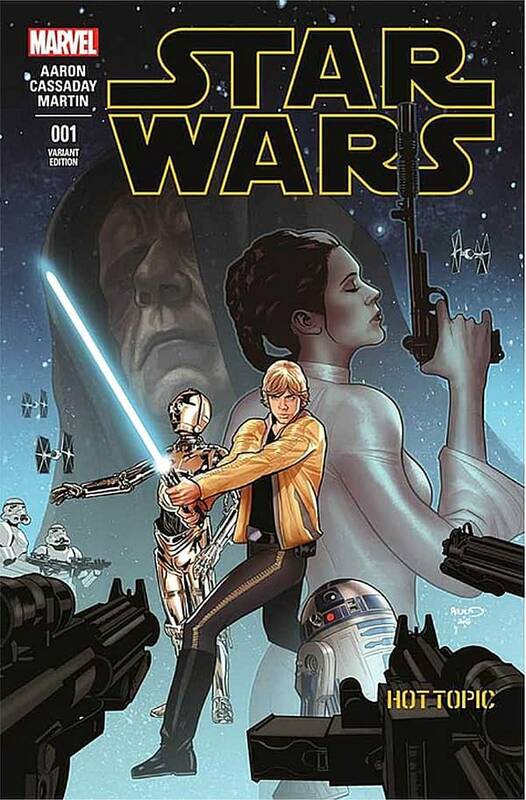 Home » Comics » Does Hot Topic Star Wars #1 Spoil Avengers: Age Of Ultron? Once upon a time, Peter David, working in sales at Marvel, handed out some preview copies of an upcoming issue of Alpha Flight to a bunch of retailers – pages he had received from editor Denny O’Neil. It featured a dream sequence with a withered Guardian emerging from the ground. This was as a resultof the character dying though the audience didn’t know that at the time. John Byrne turned up at the meeting, saw the pages and was furious, asking how Peter David could be showing these images when it gives away the fact that Guardian dies. Which was news to the retailers who now saw these pages in a new light. So, Hot Topic sell their exclusive version of Star Wars #1 for $3.99, sealed. 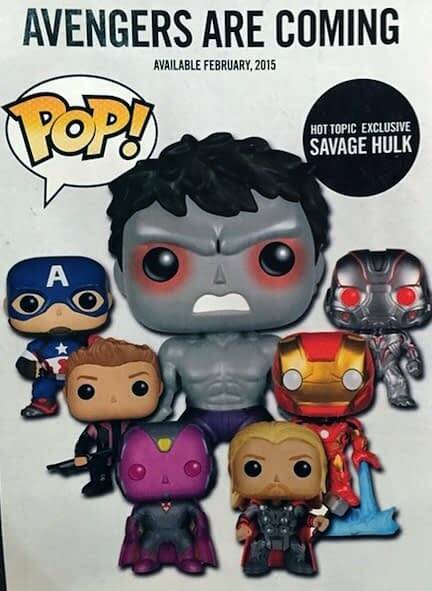 Their version also has an ad for Funko Pop’s Avengers, which they are selling – including an exclusive figure. This is that ad. Which is all fine and dandy until the Hot Topic head office/Marvel gets in a tizzy, as it appears that this ad has a serious spoiler for the upcoming Avengers: Age Of Ultron movie. First, retailers are told to hold the comic until May 1st, then to destroy them. So.. is it the appearance of the Grey Hulk in the movie? Is that the colour scheme for the Vision in the film? Does Thor grow a moustache? And how spoiled do you feel right now? Certainly worth pumping the price up on eBay..